Camping is not just about pitching a tent and lying under the stars. At the Governor’s Camp, we ensure a balance between adventure and fun, comfort and necessity, and, of course, exceptional taste because of the effort we spend in making this an unforgettable adventure just for you. Although we are located just outside the main Park, we have maintained the wilderness of a jungle giving you the entire experience of a perfect jungle retreat. The myriad bird calls will awaken you each morning and the sounds of the nocturnal creatures of the wild will be the last thing you hear at night. In the meanwhile, we ensure complete safety and seclusion. This is just what we have to say. 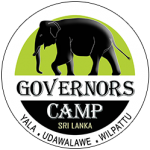 We invite you to come over to any of our Governor’s Camps and experience the real thing. You won’t regret a minute of your holiday!